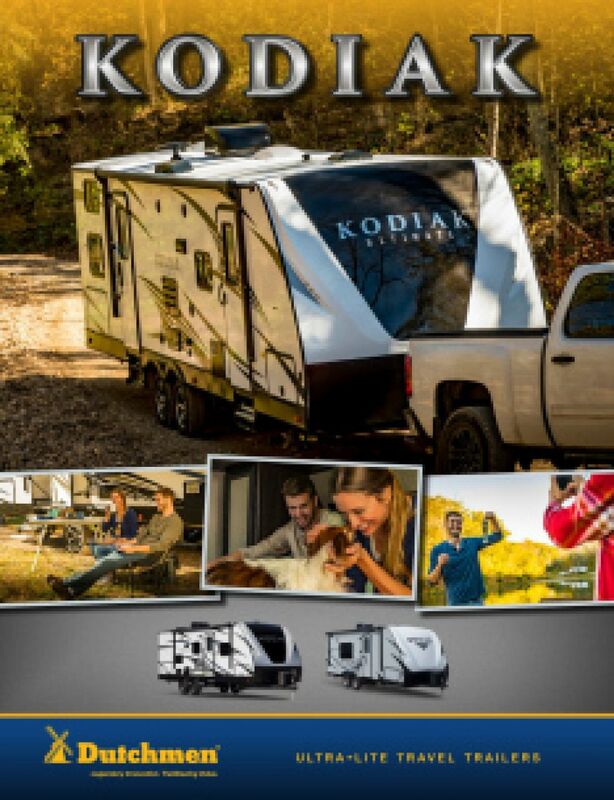 Nothing beats a restful night's sleep when you're on the road, and the Dutchmen Kodiak Ultimate 2711BS provides your family with great sleeping accommodations for up to 4 people, including a terrific bedroom! The Queen bed is roomy and comfy and you'll drift off to sleep in no time! You'll always be able to feed your family nutritious meals on the road because the 2018 Dutchmen Kodiak Ultimate 2711BS includes a great kitchen, complete with a 3 burner range cooktop, 6.00 cu. ft. refrigerator, and more! The worst part about tent camping is going to the bathroom. It's either the woods, an outhouse, or a gross, crowded communal bathroom! But, you're RV camping, and that means you can enjoy the comfort and privacy of your own bathroom! 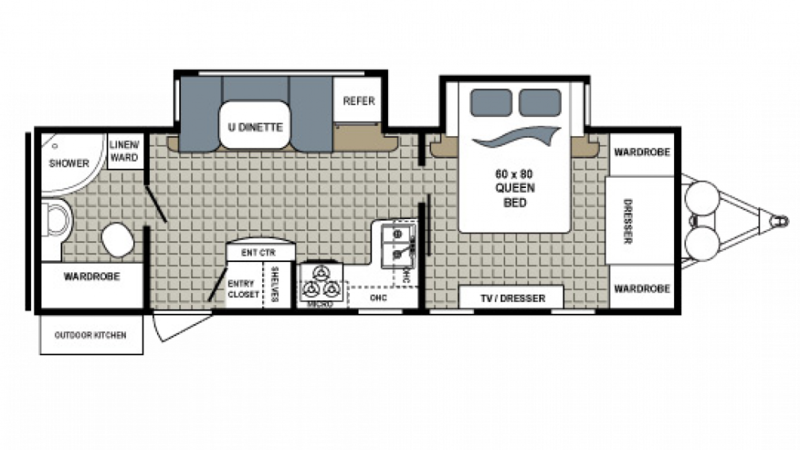 There is a Porcelain Foot Flush toilet, sink vanity, and a roomy shower! This camper's 40 lbs. of LP tank capacity ensure that your showers will stay nice and warm, and the 78 gallon gray water tank and 28 gallon black water tank store your used water and waste so that you don't have to deal with it! Grab some cold drinks and whip up some tasty treats for your family around the campfire! The outdoor kitchen makes meals, snacks, and drinks quick and easy!